You have a website that selling a huge number products and everything is working fine. But you have a small problem with a problem in checkout process and this is maybe a not a small trouble, you will loose a chance to server your customer forever. Now, if your site is intergrated Magento One Step Checkout Extension, your customer will not complain any more for sure. With some companies report that at least 60% of checkouts end without order confirmation. If customers are satisfied with the price, they should go to checking out process to complete it quickly. Checkout is a final step but it is the most crucial part of online business because many companies lose a mount money at this step. And it is a reason why you have to intergreated this extension into you site. Futher more, when One Step Checkout Extension is attached into your site with unique design, it is suitable for all website. Price is resonable and cheaper than its value, what are you waitting for? How it work for Client? Recently study says that average customer spend about 2 hours on online shopping, but they always feel lack of time. Specially, they spend much time for checkout process because this step is very complicated of online buying process. But now do not worry about it, you can complete checkout process in 2 minutes if that site got Magento One Page Checkout. When you add a product to your cart, you have 2 options: update shopping cart or continue shopping. If you also want to discover website, please click on continue shopping button. If you want to checkout immedialy, choose the button left and fill full information as name and dress, shipping method or delivery date to complete it. One more thing, you can update quantity of product in checkout page without loading page. Finally, you click on button place order to finish process. How it work for shop owners? 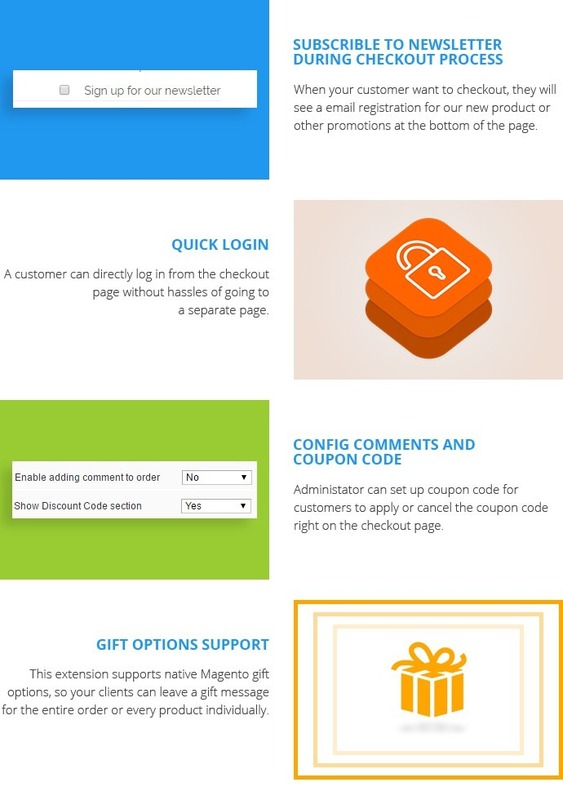 One Step Checkout Extension for Magento is not only friendly for customer but also easy to set up for administrator. You can config in Magento admin panel, arrange layouts, set a default shipping and payment method, auto update totals with Ajax or muli options for registration and more..... as you wish. If you have any problem in installation process, please read carefully in our user guide for more information or fell free to contact our support team. You can use other devices as desktop, laptop, tablet or even more smart phone for convenient shopping everywhere. Reduce from 6 steps to 1 step in only page. So, you do not have to wait for a long time to finish checkout process. 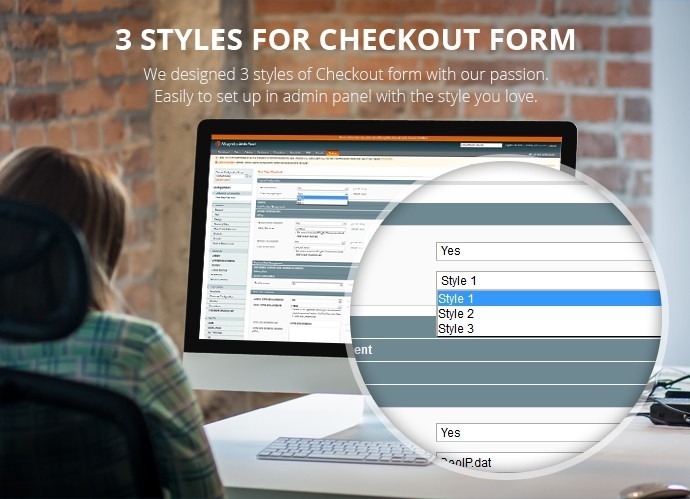 We designed 3 styles of Checkout form with our passion. Easily to set up in admin panel with the style you love. 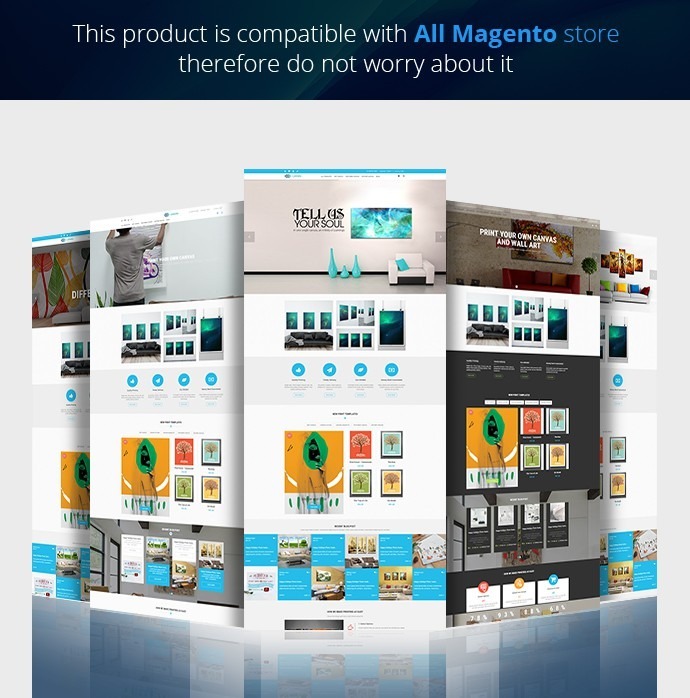 This product is compatible with All Magento store therefore do not worry about it. 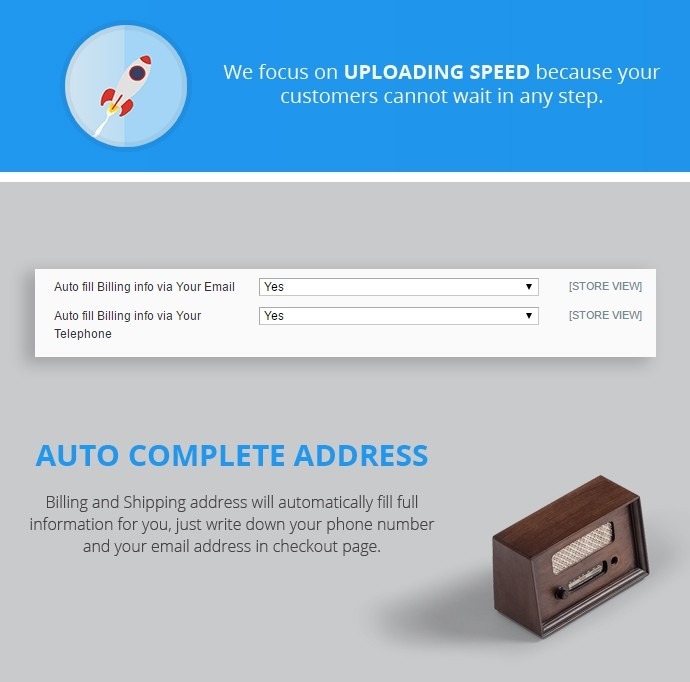 We focus on uploading speed because your customers cannot wait in any step. 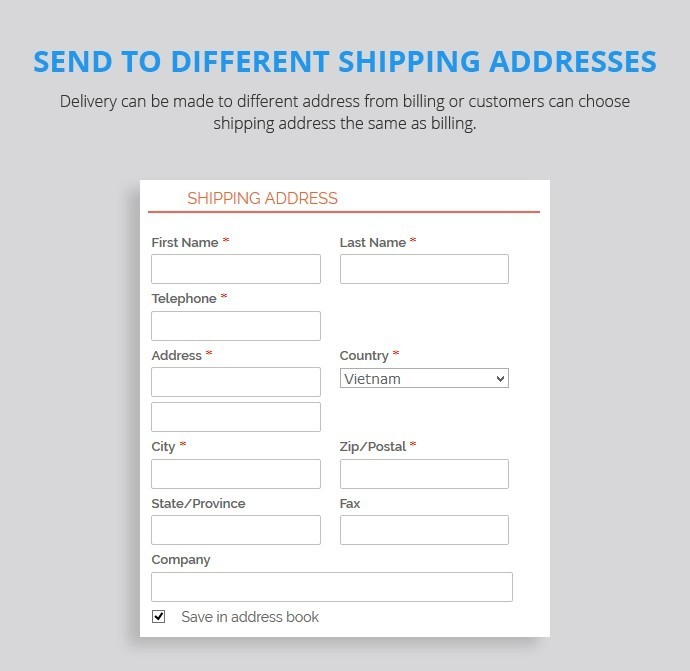 Billing and Shipping address will automatically fill full information for you, just write down your phone number and your email address in checkout page. You can arrange position of layouts in page as billing address, shipping address. Moreover, you can select many files in required fields. 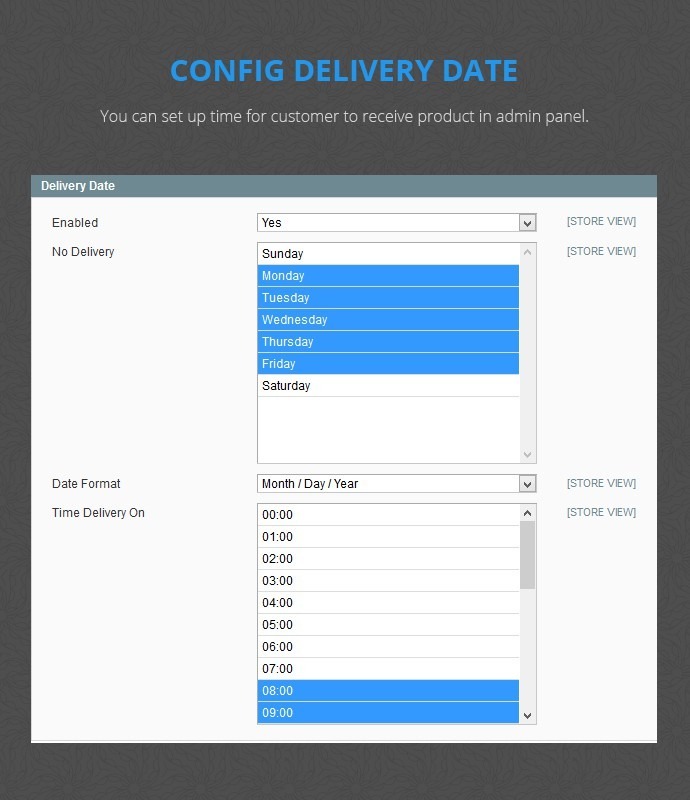 You can set up time for customer to receive product in admin panel. This is special function to know what your customers interested in and this data can be used for your marketing campaign. You can configure this function easily in admin panel. 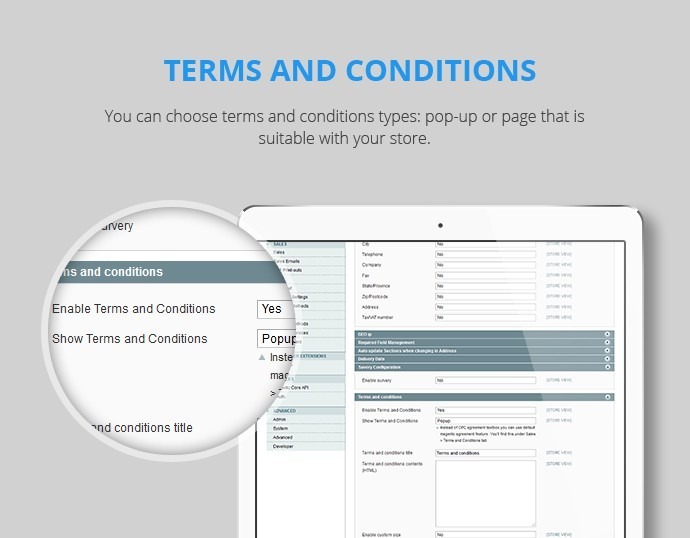 You can choose terms and conditions types: pop-up or page that is suitable with your store. You can set up in admin panel a form to display product images, icon to remove product and 2 buttons to change quantity in checkout process. 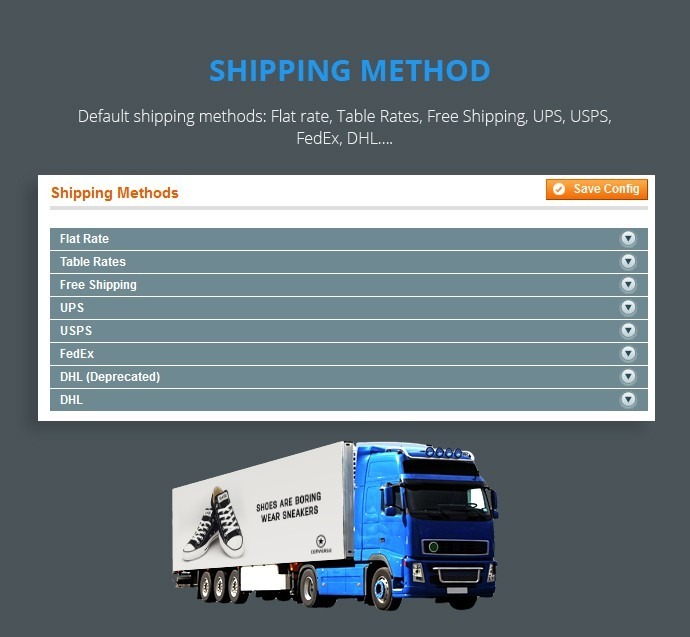 Default shipping methods: Flat rate, Table Rates, Free Shipping, UPS, USPS, FedEx, DHL…. 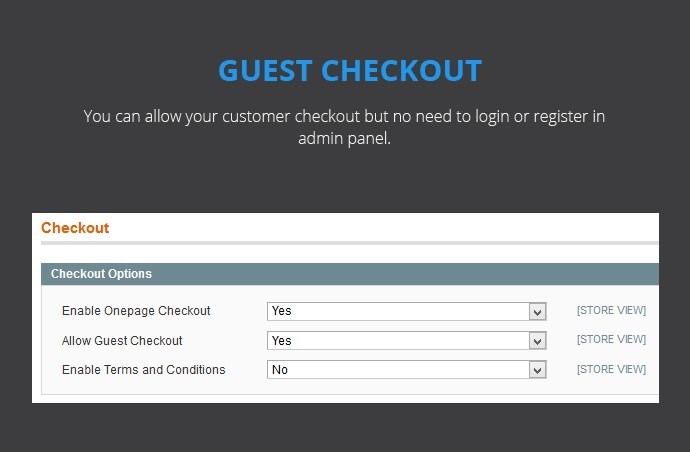 You can allow your customer checkout but no need to login or register in admin panel. When your customers want to checkout, they will see an email registration for our new product or other promotions at the bottom of the page. A customer can directly log in from the checkout page without hassles of going to a separate page. Administrator can set up coupon code for customers to apply or cancel the coupon code right on the checkout page. This extension supports native Magento gift options, so your clients can leave a gift message for the entire order or every product individually. 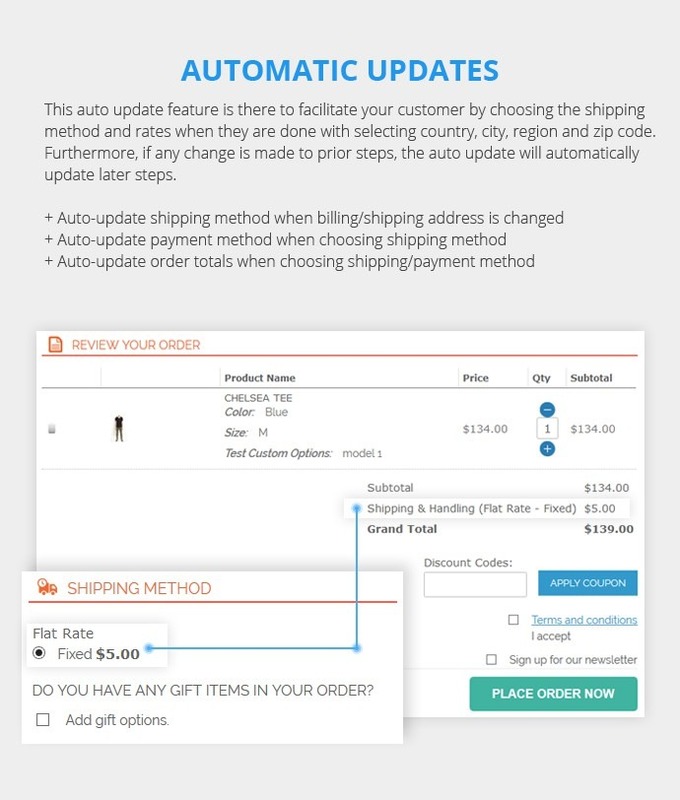 This auto update feature is there to facilitate your customer by choosing the shipping method and rates when they are done with selecting country, city, region and zip code. Furthermore, if any change is made to prior steps, the auto update will automatically update later steps. 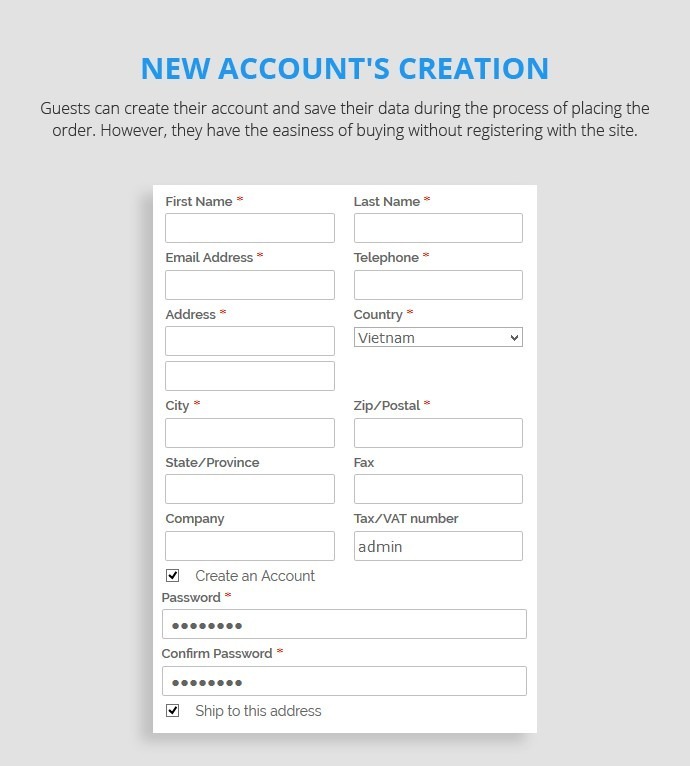 Guests can create their account and save their data during the process of placing the order. However, they have the easiness of buying without registering with the site. Delivery can be made to different address from billing or customers can choose shipping address the same as billing. There were many extensions I have gone through but this one is fulfilling my website's requirements. Anytime I contact or send ticket support, all your team are very nice and supportive. Thanks! Great support! 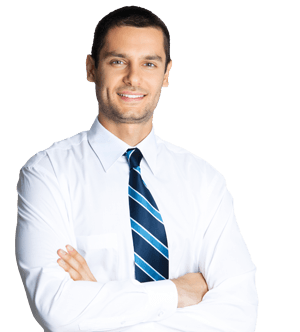 The support specialist examine the issues in essence and not only superficially answer questions. I tried multiple checkout extensions and this is by far the best. I can install it into my website without any conflict. Absolutely worth the money! I believe that I can run my business with ease right now. I was so amazed when seeing the fall down of cart abandonment. Thank you for help our business grow!!! from testing, this ext comes with all features we've needed for years. I am very pleased with this extension. It works exactly as expected. It worked properly as described and came with some features over what I have ever imagined. Like it! After finally getting it installed, product seems to work OK. A more thorough installation guide would be quite useful to buyers of this product. The extension works great with a very nice UI. Support is very responsive within 24hrs with solutions to fix issues. Highly recommended this Magento extension! Love this extension. I want to build website professionnally and used Magento One Step Checkout Extension, everything is great. I can recommend this extension to anyone. I use one step checkout on websites and it is an excellent product. Also the support is very good. On my question about plugin they responded very quick. I am very satisfied. Thank you for excellent extension, I like it. It’s so easy to install and to configure. Thank you very much for awesome extension again! They were very prompt to reply to my support request. I have experienced issues every time I've installed it and had to modify code in one way or another, but all in all GREAT extension and they should be charging for it! Great product with great team support:) The questions were constantly and consistently answered with great speed. Well done! Apart from my initial template and extension purchase, I'm intending to do more business with them. Great job team! One of the best support ever offered by a magento selling templates. Great support and professionalism showed by the technical support. I will make business with them again. Best support ever offered by a selling magento extensions company. Great support and professionalism showed by the technical support. Thank you very much Minh! Beautiful and intelligent extension. Easy to configure, great for costumers who can reduce the steps in the shopping process so the conversion rate increase. Thank you for the excellent support, specially thanks to Minh. Best Regards. I love One Step Checkout extension from CMS MART because its very simple and easy to fast checkout proses. I just had a Great support with CMS MART customer support after sale. and would like to mention my appreciation for all the help I have received. I had number of issues and questions about my extension customization, as well as some technical challenges – and got very quick, highly accurate response and finally all the fixes to my problems. Excellent communication, politeness and really willingness to support, as well as high technical knowledge, which mirrors from Dessy – made my day. Thanks ! You have an outstanding Customer support Team. Simply the Best ! Amazing product. A must for all magento eCommerce store. Easy on the consumers. Will come back. Support (Lê Kế Tuấn) was excellent. Overall great, easy to install. It works well with the reward/point module. And it also have lots of good extra extension. Well done! 5 stars for responsive layout. I finally found one that has this features. Completely satisfied! thanks to team who create a products with the feature very good. now, i can control customer process checkout easily. excellent extension! 6 steps into 1 step! 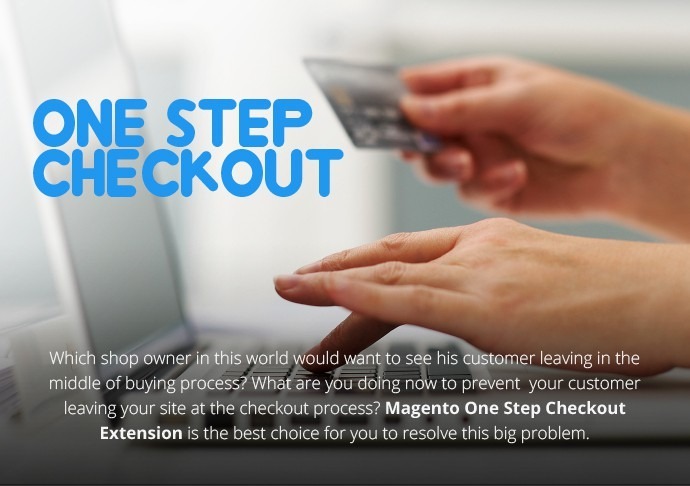 Magento One Step Checkout Extensions - i'm looking forward. it make my customer happily. besides it use easily and auto updating information! good product! Really good extension. Its easy to install and use. User friendly. Support is really good. A great products industry splashy. Thank the developers. Useful extension, reduces process customer payments and do not have to scroll through several pages. I am using this feature and really happy about it. This extension is friendly with my customers, everything appeared quickly and do not need to reload the page, to save time as well as comfortable to use. I will continue using it long, forever for my website. Thank the developers. Is it possible for guests to place the reservations (without registration)? Yes, your customers can check out without the registration and login. Is your extension can work well with 2 extensions below that I installed for my Magento site: Google Address Autocomplete, Finder and Suggestion. Webkul Dropship extension. Which payment methods does your extension support? Our extension supports almost all popular methods such as paypal, moneybookers, credit card, etc. You can refer the list method on configuration Payment Methods admin. If you want to use the 3rd party method, we can customize for you with a small fee. How can customers/admin manage their order? Does your extension have full responsive? Yes, it is fully responsive and compatible with all devices and browser. Can customers continue checkout the last order if they have some problem when checkout such as internet, bank error, etc? Does your extension allow customers to add/edit their order when check out or they will need to start the new one? Will your system fill in my information automatically or I need to fill in from the scratch again If yes, can I choose the other address for shipping rather than registered one? Does your extension have tax when checkout? Can customers login when they are checking out? Yes, we have the quick login function that allows customers login in the check out page. You have web printing to serve the huge customer and your business is good with a lot of perfect products to bring big revenue for you. However, you have a problem with your checkout page. Have you thought that your customers are satisfied with your quality of the product but not the step of checkout? With the checking out process, the buyers have much time to do a lot of steps in order to buy products, it takes them a lot of time and makes them confused. You will not miss a chance to serve your customer forever so you need a solution with one step checkout extension. According to some companies report, at least 60% of checkouts end without order confirmation. Customers will go to checking out process to complete checkouts quickly if they are satisfied. The final step is very important in buying the product online because many companies lose the amount of money at this step. 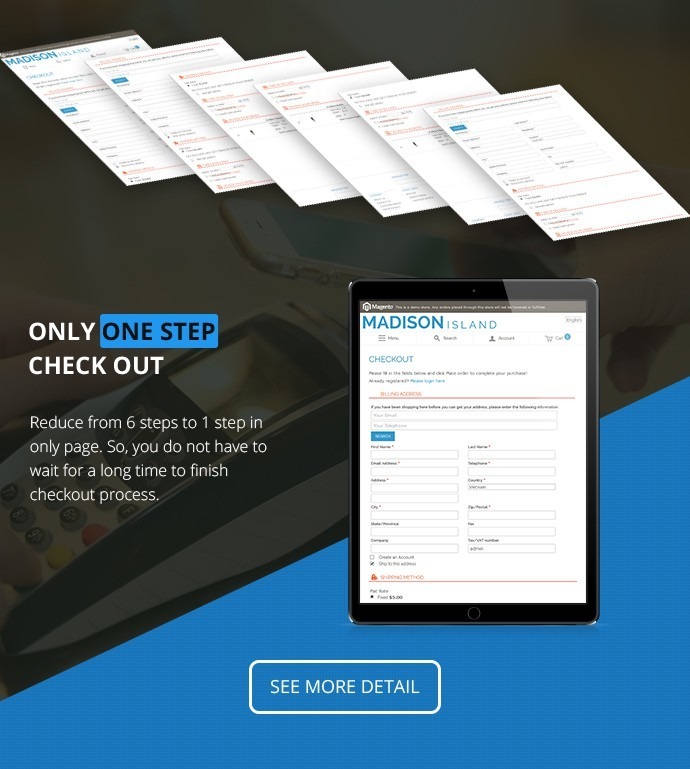 Although one step checkout brings a lot of benefits for you, its price is reasonable and cheaper so why is not this extension suitable completely for your printing shop? 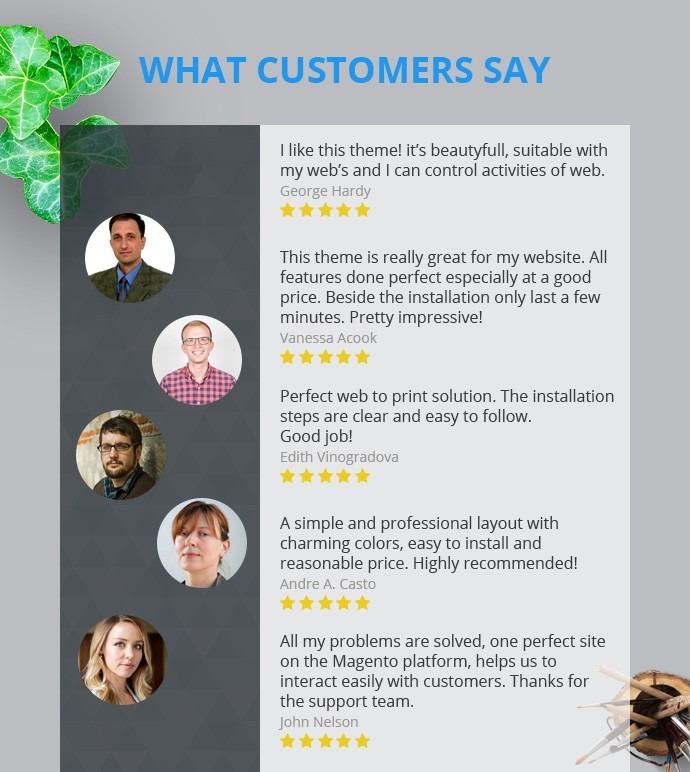 After selling the Magento one step checkout extension for our customers, there are a lot of compliments sent for us: the excellent product, it is so easy to install and to configure. Magento one step checkout is the best checkout in the market such as color customize, product image, edit link and more… with many features cleaner and beautiful. Besides, customers have been satisfied with the team support, they are a very helpful and fast response to make buyers comfortable. Cmsmart has responsive Magento one step checkout extension bring a lot of benefit for your printing web. It does not only have a simple checkout process with beautiful and smooth interfaces but also it is responsive in all device, the clients will buy your product anytime, anywhere easily. Only one step checkout with 3 styles form: Reduce from 6 steps to one step in the only page, so you have a fast checkout process to buy one product. More, there are 3 styles form with our passion, easy to set up in admin panel with the style you love. All of the things are very simple and fast as this product is compatible with all Magento store. 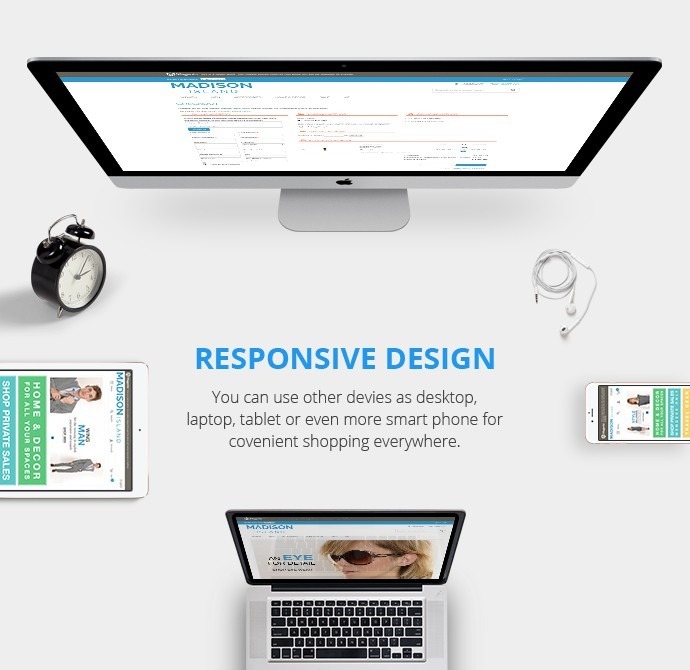 Responsive design: One step checkout extension of Magento is responsive in the device as a desktop, laptop, tablet. Especially, it is convenient shopping everywhere, anytime in a smartphone with the high quality of the product. You are not worried about the sale program of products, are you? Checkout easily: With one step checkout, billing and shipping address will automatically fill full information for you, just write down your information in checkout page so you have had thing what you want in high uploading speed. You can pay through many popular payment methods as Paypal, Credit card and more… Guests are checked out without login or register. 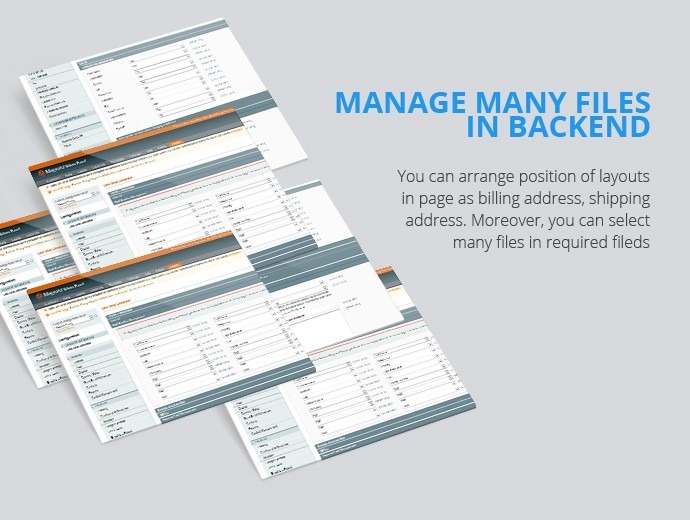 Manage many files in the back – end: Position of layouts as billing address, shipping address can be arranged easily in the admin panel, Moreover, you can select many files in required fields. 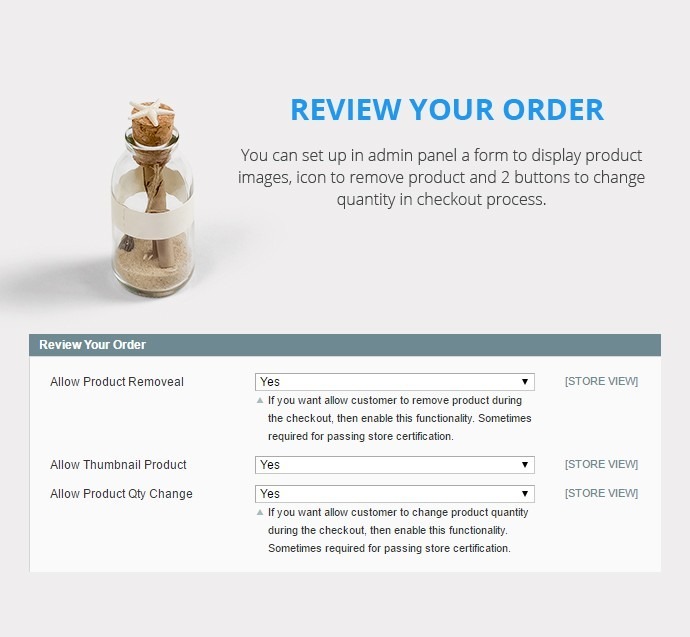 Configure functions: Admin can set up display icons, images to increase the choice for buyers in the checkout process. You can custom delivery date to receive the product, the shopper is able to know what their customers interested in to make a marketing campaign in near future. Many utilities: Logging in from checkout page without hassles to make comment, have a lot of coupon or gift. The update feature is there to facilitate your customer by choosing the shipping method and rates when they are done with the selecting country, city, region and zip code. Auto – update shipping, payment method, and order totals, all of them are very simple and faster in responsive Magento one step checkout extension. Check out is the final step which plays an important role in finishing the purchase process. After foresee, read about features and functions of products, what the customers pay attention is how to checkout for it. Why do you bring your customer convenience and ease in checkout in order to improve their shopping inspiration with your online store? 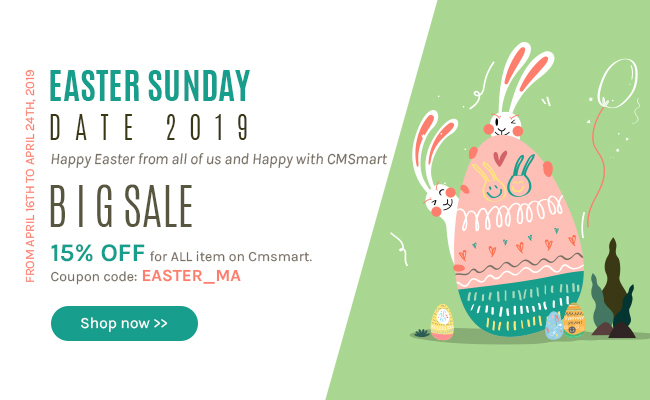 It is so easy now with Magento One Step Checkout Extension , one of the noticeable products on Cmsmart who specializes in supplying a variety of Magento extensions. How is normal Checkout process of an online store? Step 1 – Fulfill your detail information: Firstly, you have to supply all of your information such as name, address, telephone and other private information on the system. Step 2 – Supply your shipping address: Some people want the product to be shipped to their home but some people have to go to work all day so they will order shipment to their company. And in some case buyer maybe ask some friends to receive products for them so that the shipping address will be their friend home. Step 4 –Intend the delivery time: You can choose a suitable time with your schedule and store will refer to your requested time to transfer products to you. Step 5 – Choose payment method: in this step, buyers have to decide that they will pay for products by cash, through bank account or check. Step 6 –review order and finish process. This is the final confirmation to checkout for an online product. What a great improvement if you can finish all checkout process in 1 step instead of 6 steps as normal. 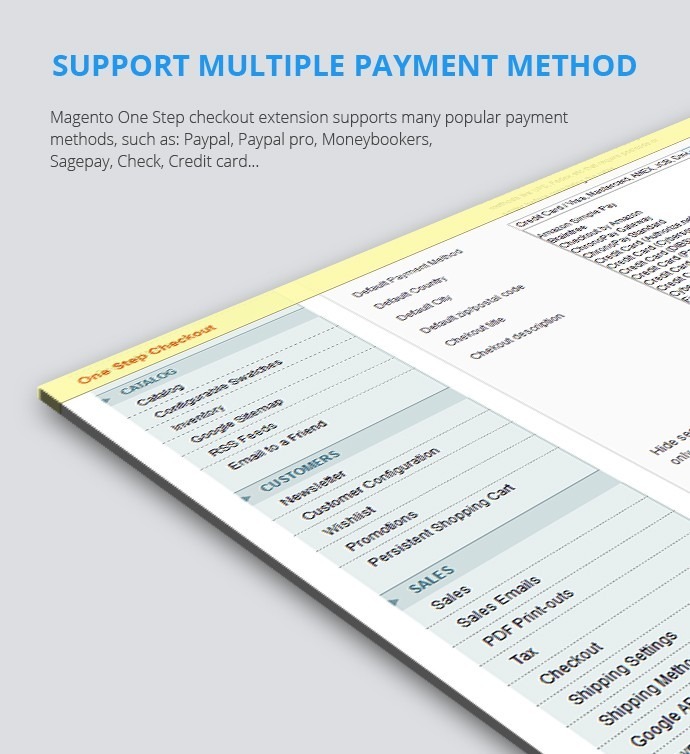 Only with Magento One Step Checkout Extension and a short time to install it, your online store will reduce 6 checkout steps to only 1 step and supports various payment methods. Shopping online now faster and more interesting. 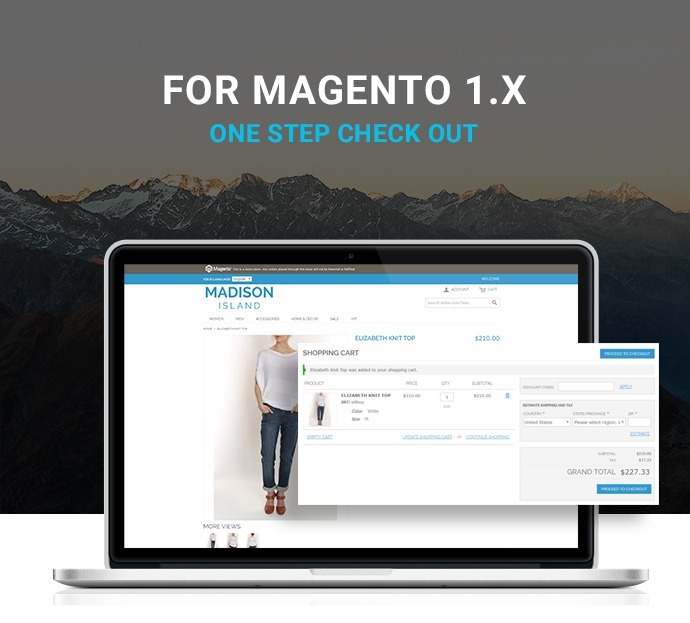 With 3 layouts available for Magento One Step Checkout Extension, owners can easily choose one step checkout layout suitable for their online store from admin panel and customize color style. It offers a great selection of responsive themes that are optimized for every possible layout and screen resolution. Now your buyers can reach the information of product every time, everywhere and on various equipment such as mobile, laptop or tablet etc. Thanks to responsive feature your website can display perfectly. Once customers log in, the system has the ability to save their addresses in address book then auto-fill billing and shipping addresses for them. So that they can save much time to others action. For first-time buyers, owners can set up default auto-selected shipping and payment methods in order to keep a save purchase for your store. With all smart features of this application, it is a Magento Extention which is so great for any webstore. Now, Cmsmart provides you the best package: BUY 1 GET 2. So, it’s time to try! I am using your onestep checkout extension and getting default product image for every purchase. Please create a ticket at http://cmsmart.net/your-profile/user_list_ticket and provide your information for us as admin account of your website, FTP account and your server cPanel info to get a professional support. Yes. Both of your extensions can work well in my extension. If it doesn't work well, we will give back you points instead of money, and you can use it to buy product on our cmsmart marketplace. 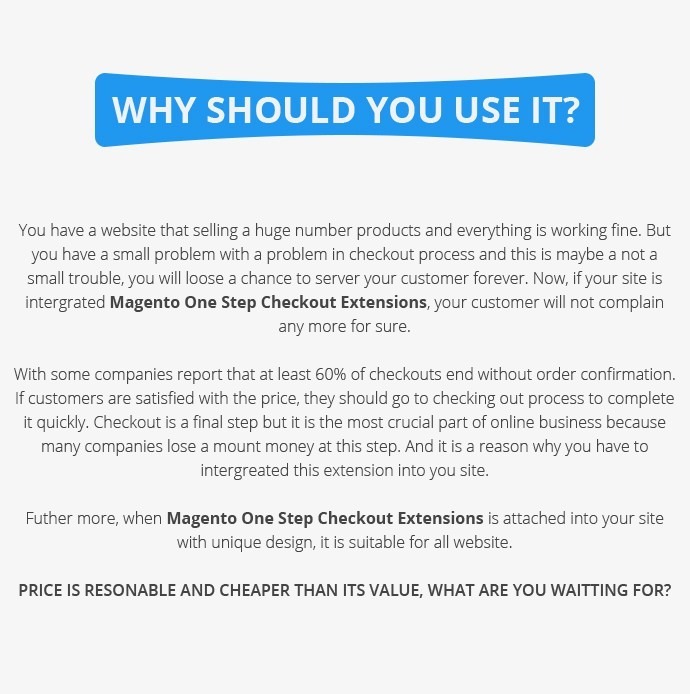 I'd like to buy your plugin-in for my magento store. Is it possible for guests to place the reservations (with out registration)? We are doing ship-2-store only and no home delivery is it possible to deaktivate the billing function and the delivery address and then just have the predefined locations (store addresses) as a delivery address? Thank you for your caring our product. yes it is possible for guest to place the reservations. With Billing function, can not turn it off because it is default. You can turn off the delivery address. 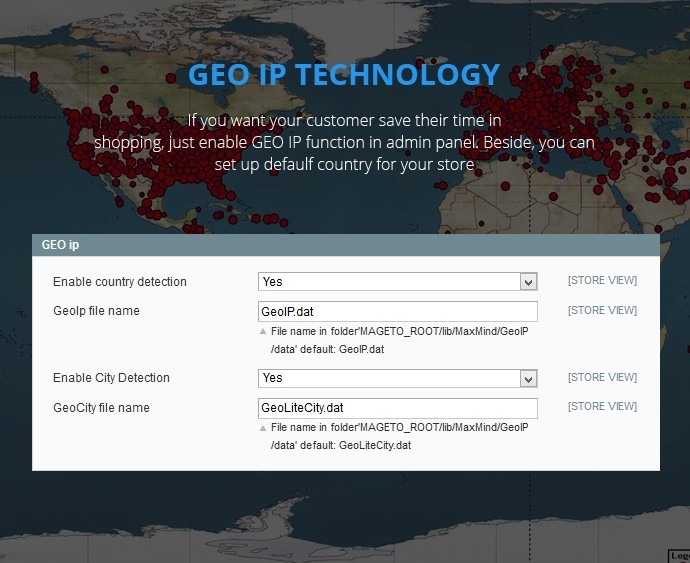 You can not use the predefined locations as a delivery address. Thank you so much and feel free to ask us.